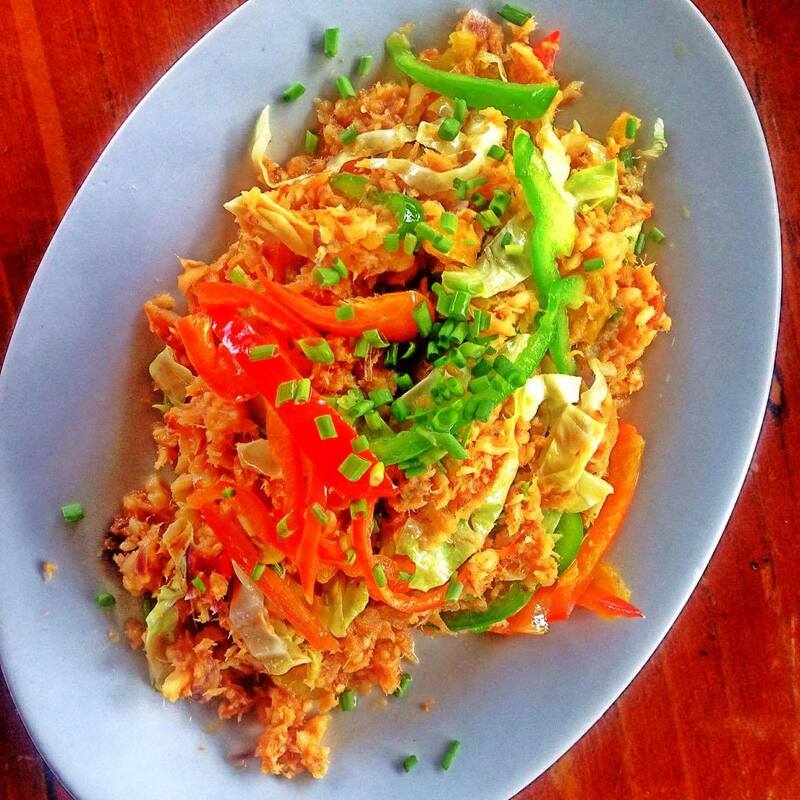 Have a Gastronomic Adventure at Island Cove Hotel and Leisure Park! Usually, I woke up late every weekends but last Saturday is extra special! 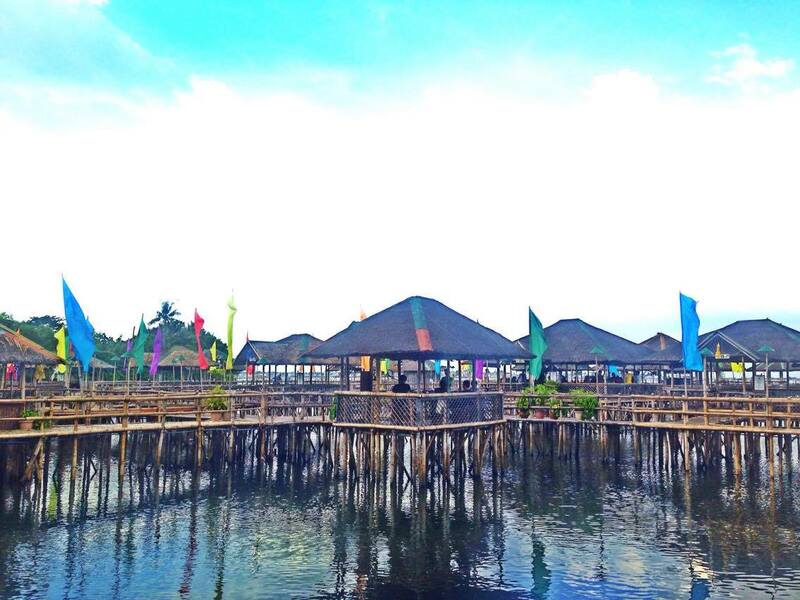 We had a gastronomic adventure at Island Cove Hotel and Leisure Park in Kawit, Cavite. 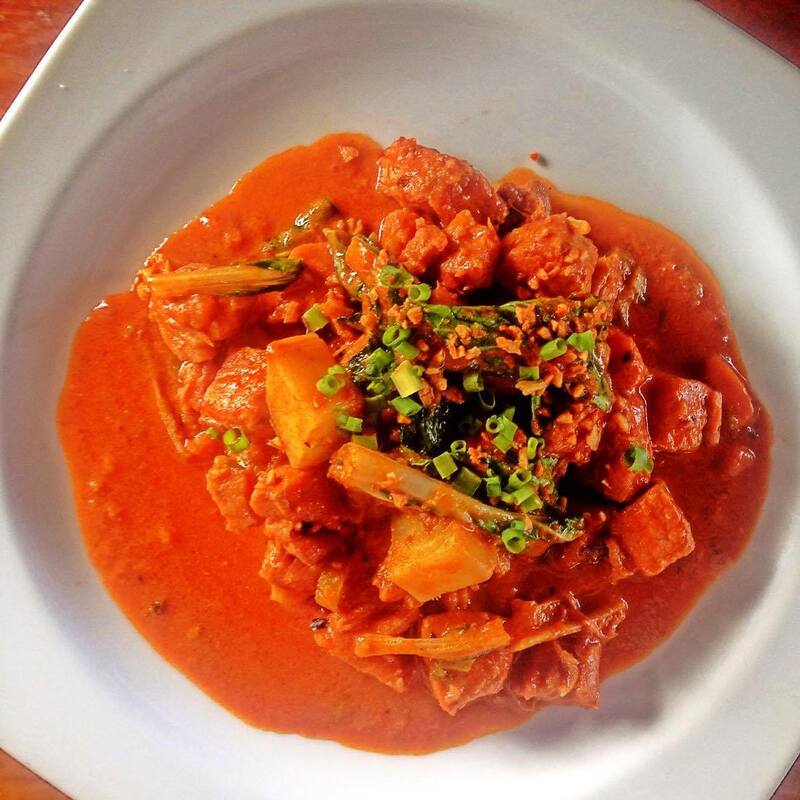 Executive Chef Vill Purificacion and his team gathered the finest fare from the various towns of Cavite and put them all together in a menu which will be available at the Fishing Village every Friday, Saturday, and Sunday started last November 18 and will be served daily beginning December 22, 2016. 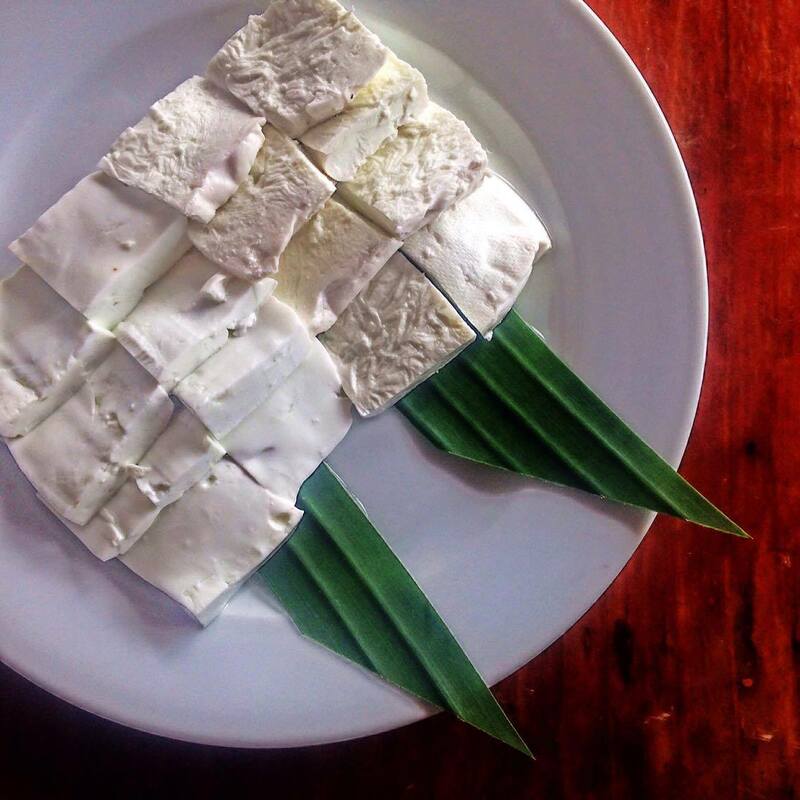 “Taste Cavite” is Island Cove's way of showcasing the best cuisine of Cavite featuring their indigenous ingredients, history, and tradition. “Being located at the mouth of Cavite, Island Cove should be the gateway of all things Cavite,” points out Managing Director Gilbert Remulla who hails from Imus. “We’d like everyone to know how rich Cavite cuisine is. We are serving the food of our childhood. 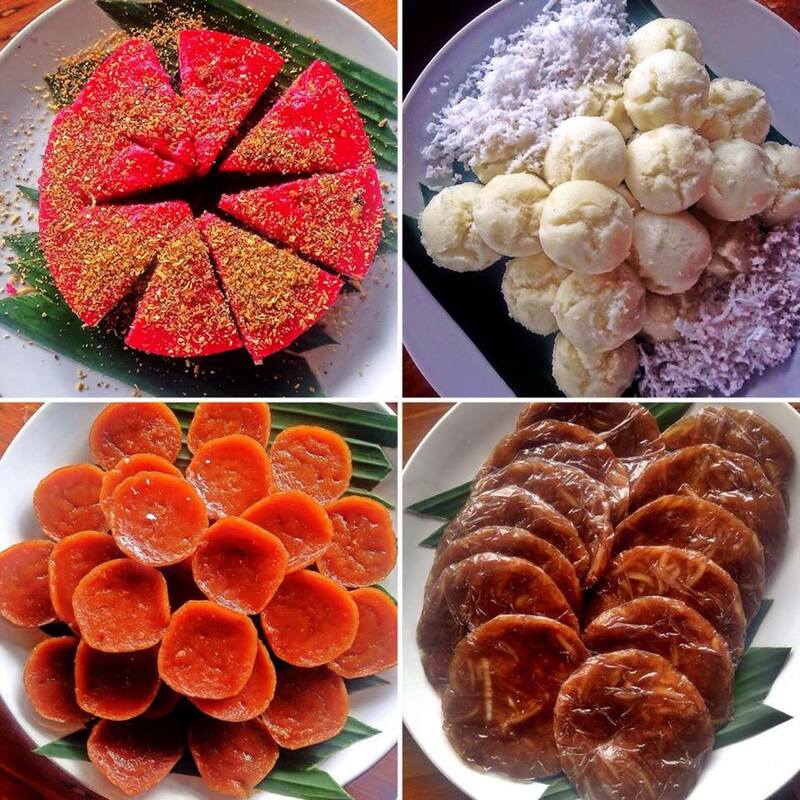 A lot of the restaurants that offered these specialty dishes are no longer around but we want to bring the food back. We’ve also sourced dishes which are proprietary from other restaurants,” he continued. 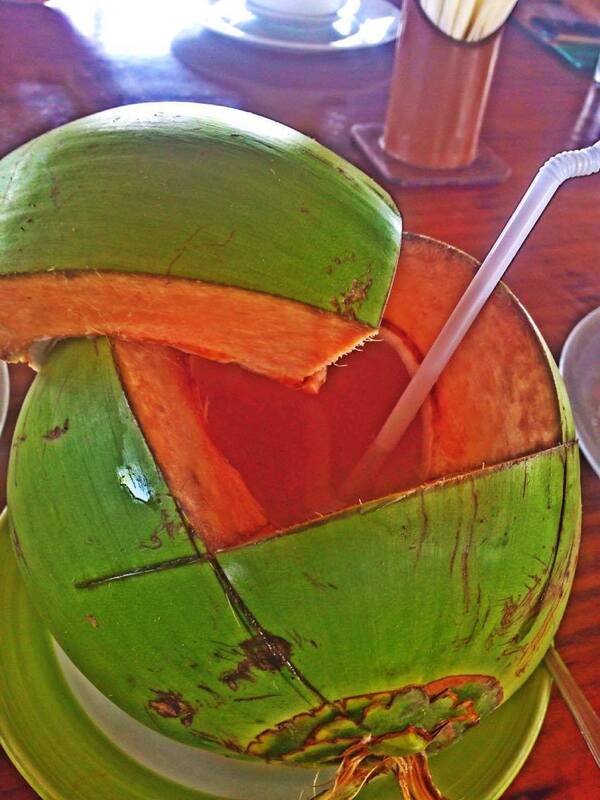 Fresh buko is waiting for us! For starter, we had a Bacoor original. Deep-fried, crisp mussels chips made of flour, spices, and salt. A Cavite City special. 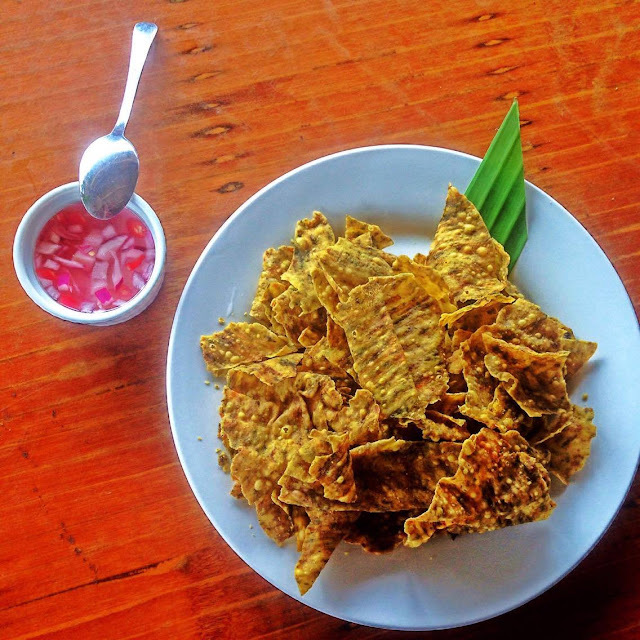 Crispy deep-fried fish. 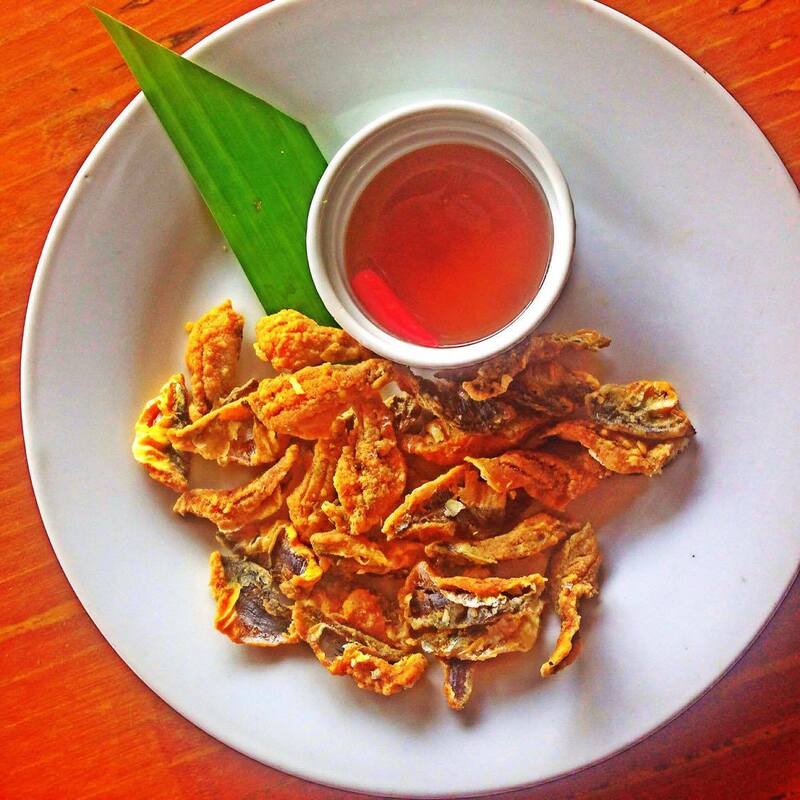 It may have a funny-sounding name but the tiny fried fish fillet is no joke to make. 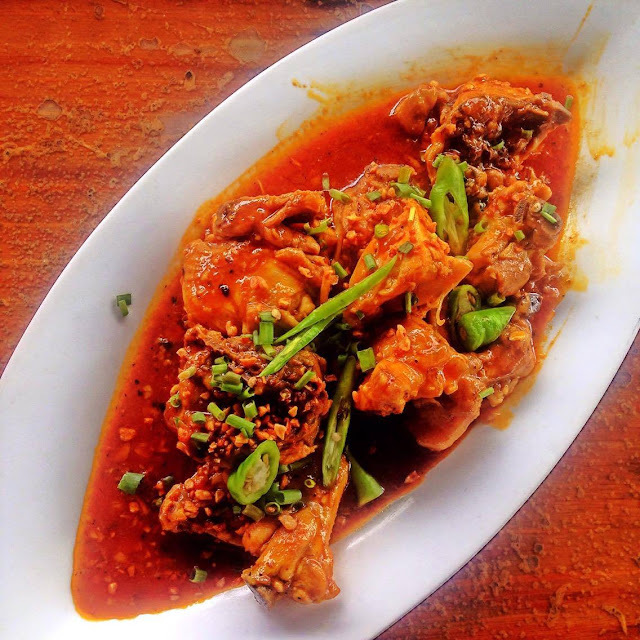 “It is so hard to fillet that fish, only one small restaurant in Cavite City has been doing it since the 1800s,” according to the Executive Chef. 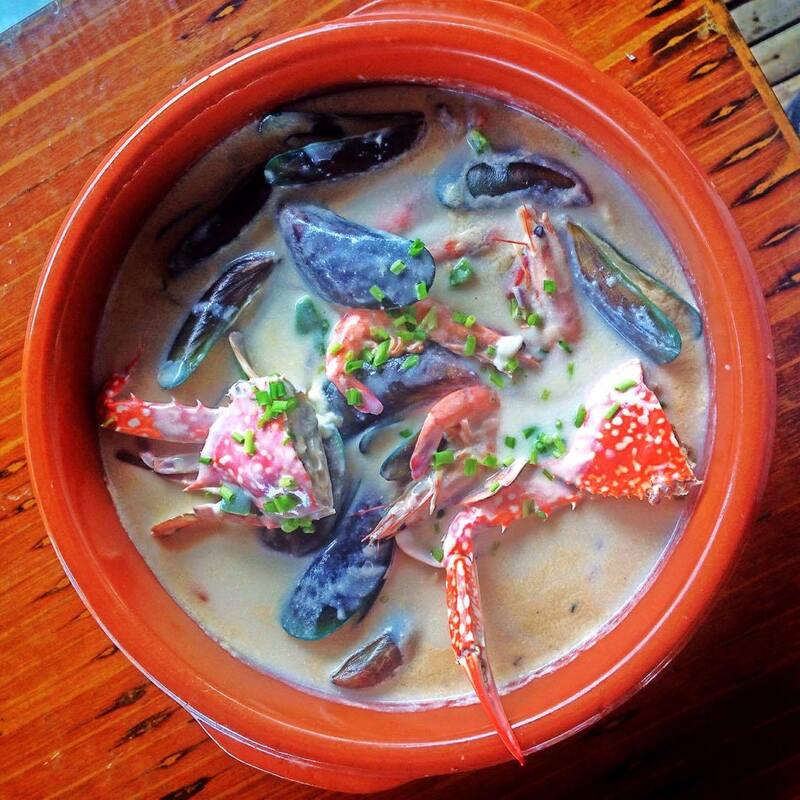 The rich creamy soup is originally from the old 7 Sisters Restaurant, owned by the Sabater family in Marulas, Kawit. 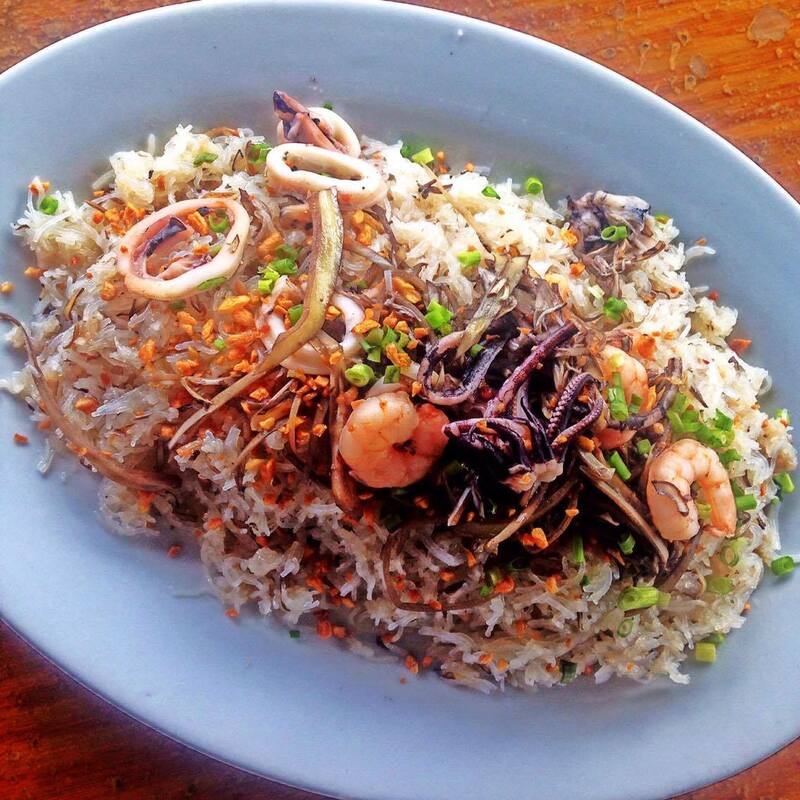 Consisting of mussels, crab, clams, and shrimps, it shows off the fresh seafood catch available in Cavite. This is my fave among all dishes featured here! 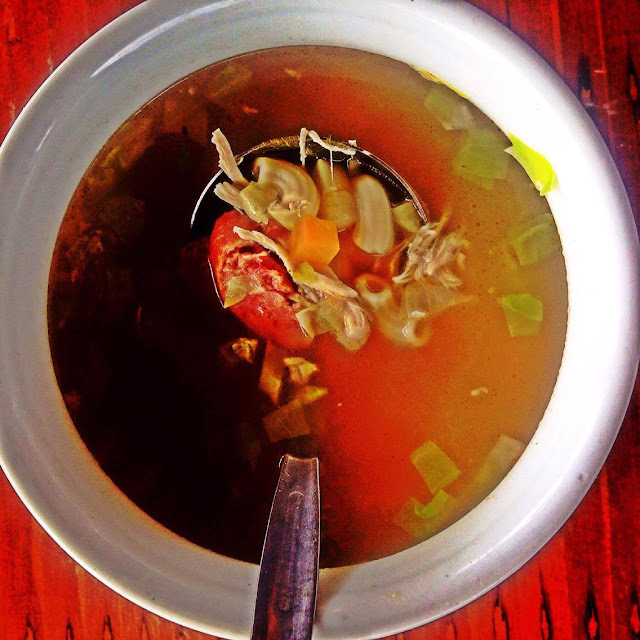 A popular soup in Cavite City that uses ham hock stock as base and has carrots, potatoes, cabbage, chickpeas, chicken, gizzard, chorizo, and sotanghon then seasoned with patis Tanza. The Spanish-influenced dish but really uses dry-salted labahita or surgeon fish cooked with vegetables, Spanish chorizo, garbanzo, and annatto oil. A Kawit special. Stir-fried vegetables with sweet potatoes, pechay, bell peppers and sautéed pork. It is slow-cooked in vinegar, annatto oil, bay leaves, and salt and pepper that does not have a trace of soy sauce. 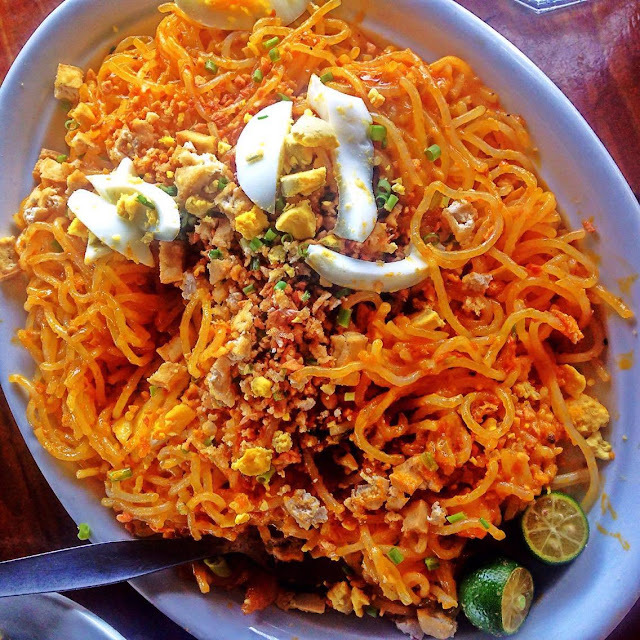 Also known as Pancit Kawit. The dark shade of the noodles is from squid ink. It is topped with squid rings, grated green mangoes, and scallions. Another noodle dish from Kawit. A Caviteñean pancit using a combination of bihon and miki bihon cooked in achuete with small slices of pork and thinly sliced green beans, carrots and cabbage. 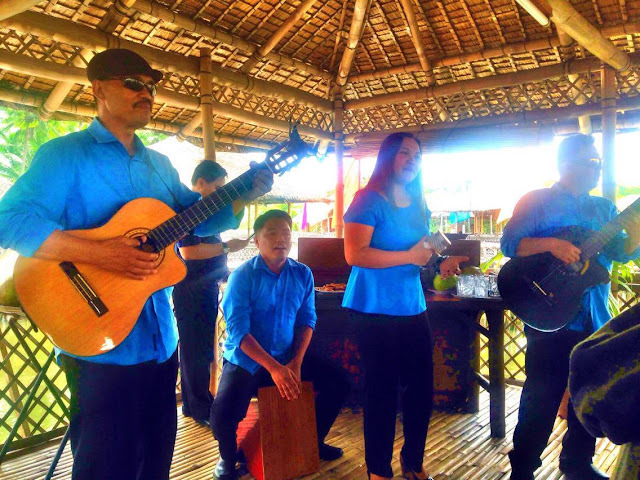 While we feast on these Cavite cuisines, a band that sounds like Bee Gees serenades us. They're so good and performed four classic songs for us. Another blogger requested them to sing Closer (by the Chainsmokers) and surprisingly they knew it. 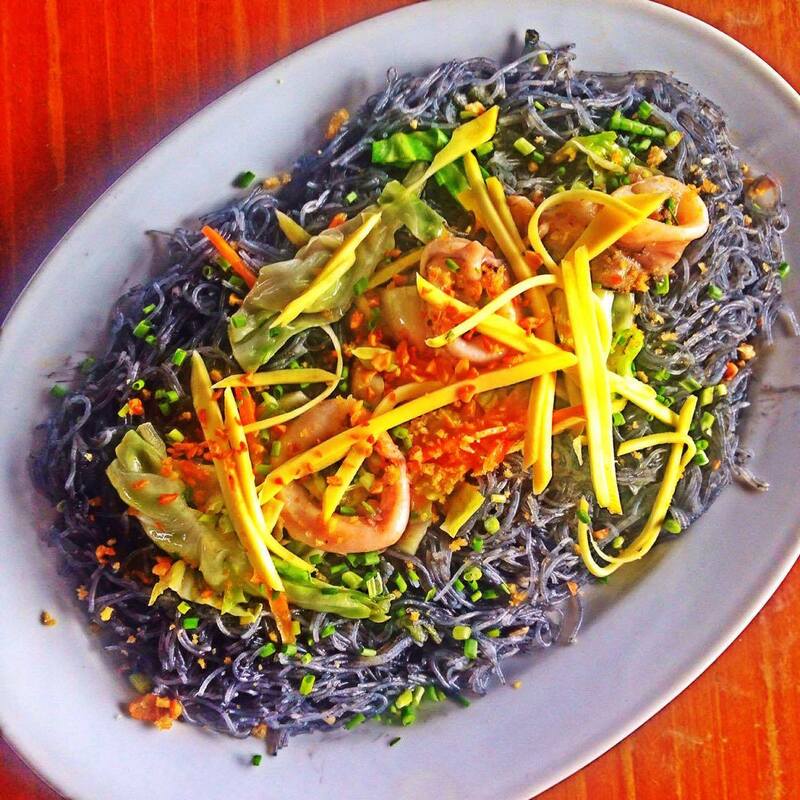 A thick rice noodles with Tinapang Tunsoy (a small fish) or what is locally called Tinapang Salinas. 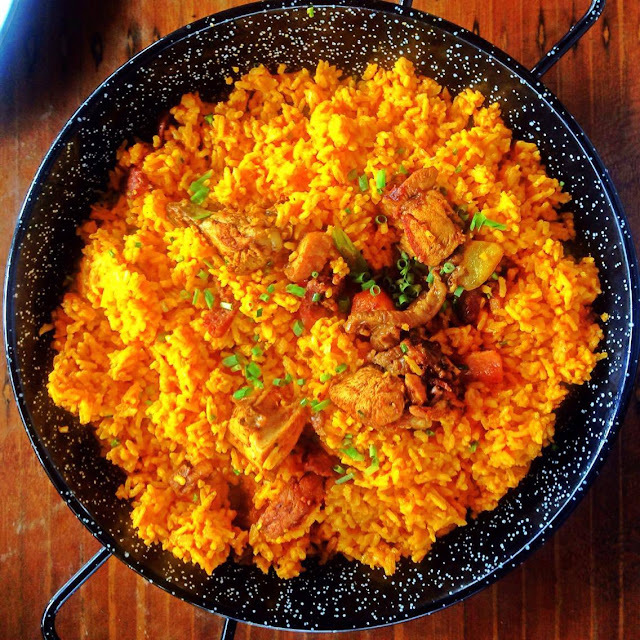 A typical dish from General Trias, it is similar to the Spanish paella with chorizo de Bilbao, chicken and pork but with coconut milk. 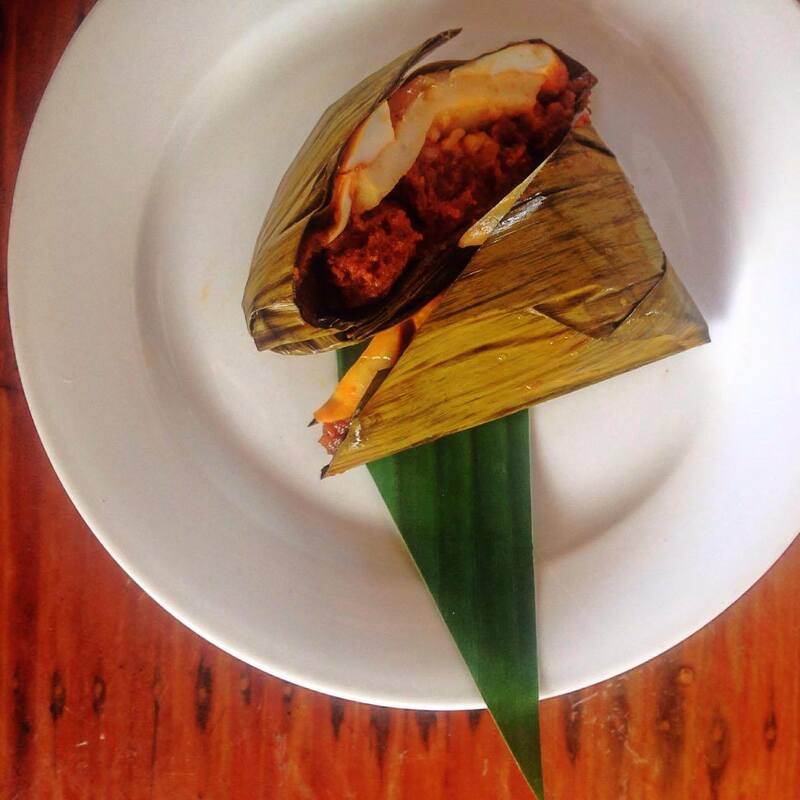 A Cavite City native dish with galapong or glutinous rice flour mixed with corn meal, chicken, pork, and salted egg then wrapped in multiple layers ofbanana leaves and steamed. Wide variety of Native dishes like kutsinta, sapin-sapin, puto and kalamay. Island Cove is famous as a perfect getaway spot, now it will became a nice one-stop foodie destination too! 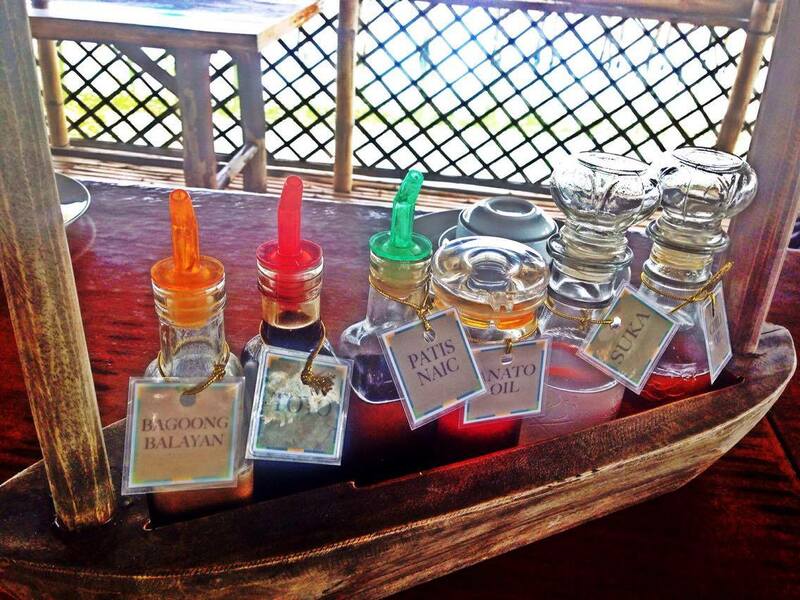 With this sumptuous line up, you can travel far and journey though the province of Cavite with your taste buds. The relaxing ambiance at the Fishing Village enhances the feeling of being far away from the urban chaos. 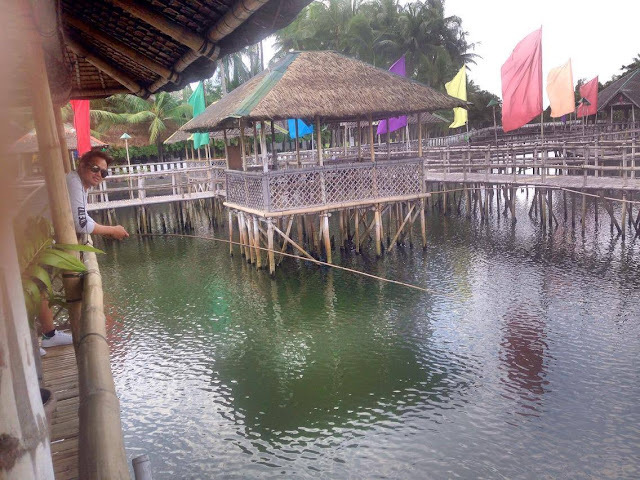 The cluster of bamboo huts standing on water facing the serene Manila Bay is an ideal dining destination for balikbayan relatives visiting for the Christmas holidays.